The property grows 80 hectares/200 acres of apples and 4 hectares / 10 acres of cherries. The area is situated in a lovely part of the Adelaide Hills, 20 kms from Adelaide. The views are to be admired. clean from weeds and rubbish. We take pride in what we own. 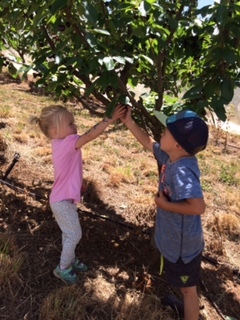 This year 2018-19 the cherries are looking good, we are sure you will enjoy the quality and quantity of cherries. Varieties we grow are Bing, Summit, Lapins, Van, Simone, Sir Hans, Stella,Sir Douglas amongst others.